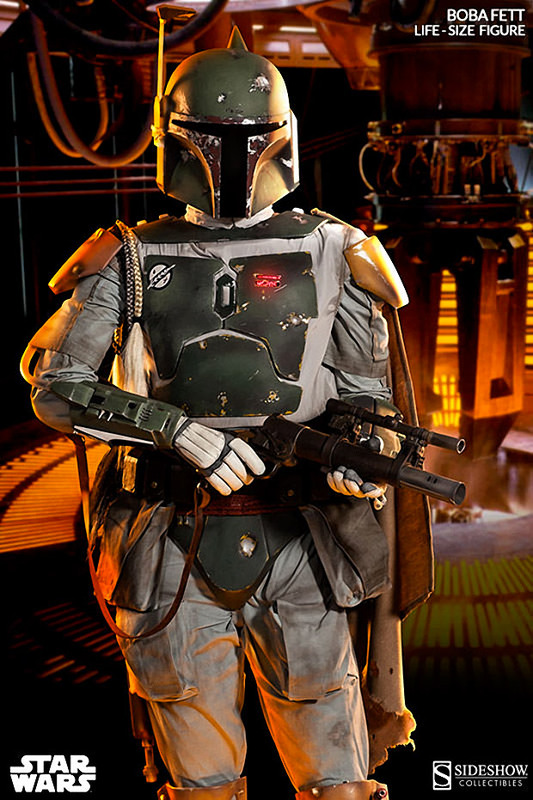 This life-size Boba Fett collectible figure is the perfect companion to your Han Solo in Carbonite collectible. The figure is available now for pre-order with delivery in September 2014. 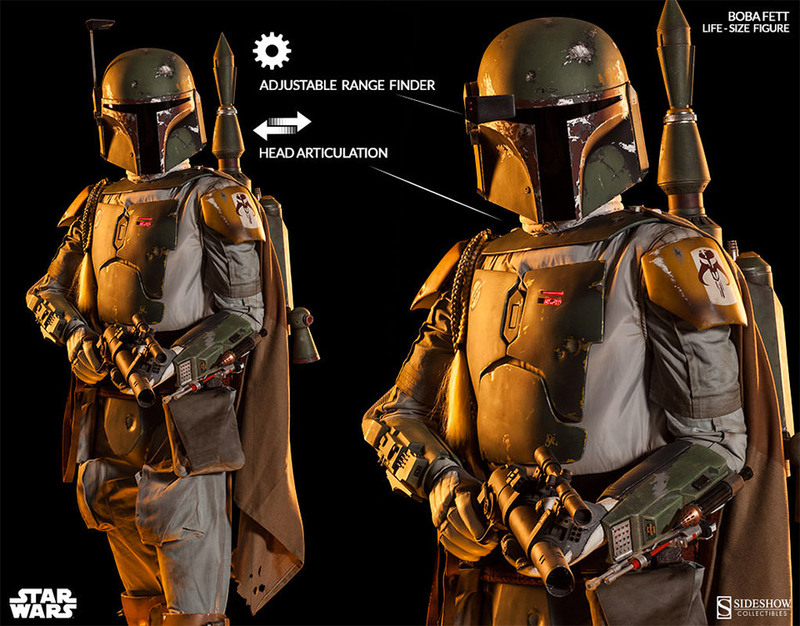 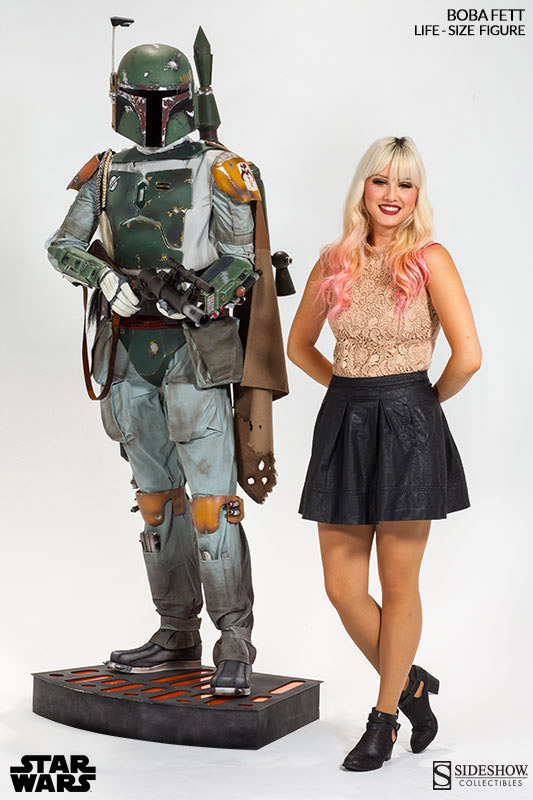 The life-size Boba Fett stands 6.5 feet tall and stands on an illuminated base. 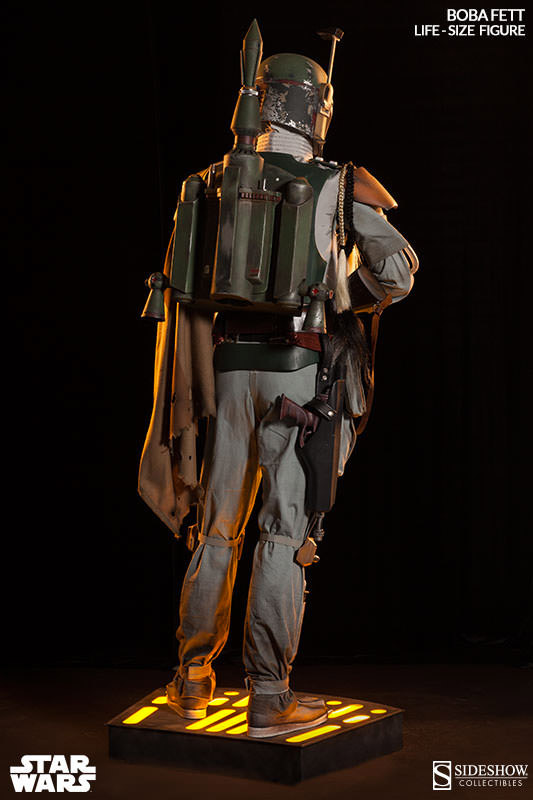 The legendary bounty hunter is carrying his blaster with a second blaster in its holster and has a jetpack on his back. 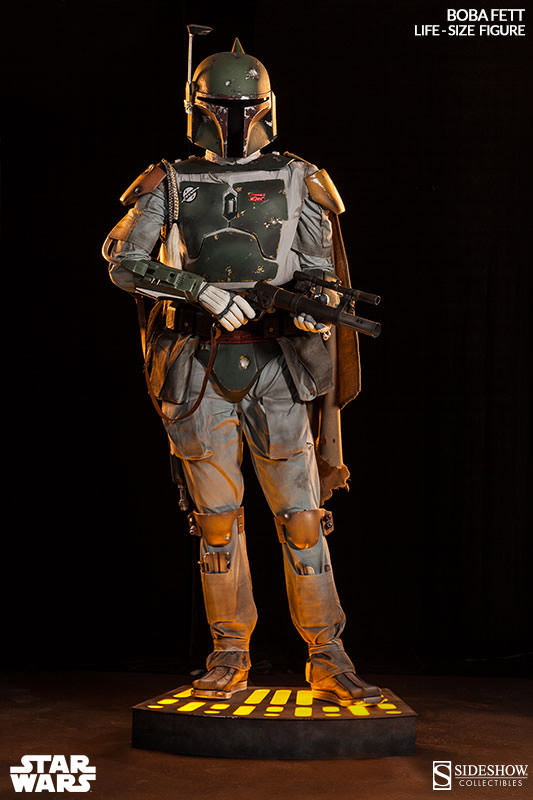 He’s wearing his signature Mandalorian armor, featuring an articulated helmet with adjustable rangefinder, an intricately detailed fabric costume and utility belt, a light-up chest panel, and braided Wookiee scalp accessories.